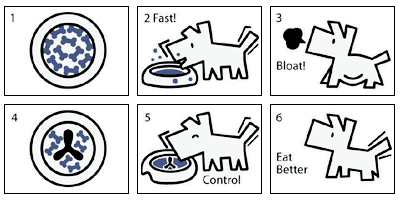 Eat Better™ helps your dog eat more slowly, minimizing many health issues associated with fast-paced eating including indigestion, vomiting and bloating. 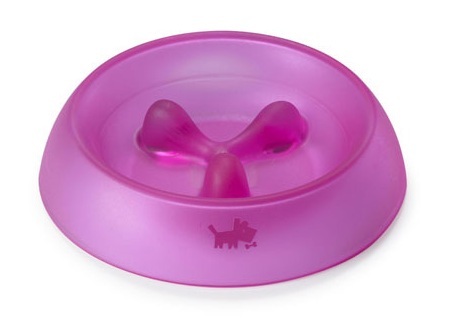 To help promote healthier eating habits, the Eat Better™ bowl incorporates raised wishbone-shaped partitions that provides easy access to food, but prevents dogs from gulping their meal too quickly. Encourages dog to develop a slower, healthier eating habit. Reduces vomiting and bloatingdue to fast eating. Ergonomical and sturdy non-skid design with rounded edges. 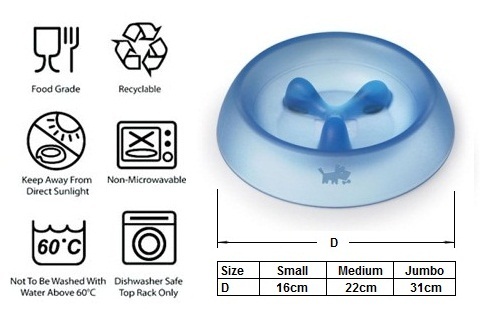 Constructed of high-quality, durable, food grade, dishwasher safe plastic. 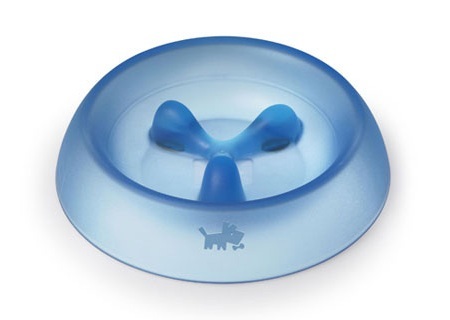 Supervise your dog's use of the Eat Better™ bowl until you are confident that your dog is comfortable using it. Clean well after each use - After each use, rinse the bowl thoroughly with water and a mild soap solution, if necessary. Occasionally, give it a good scrub with a soft bristle brush, or wash in the top rack of your dishwasher. Eat Better™ comes in thwo sizes: petite and Jumbo. 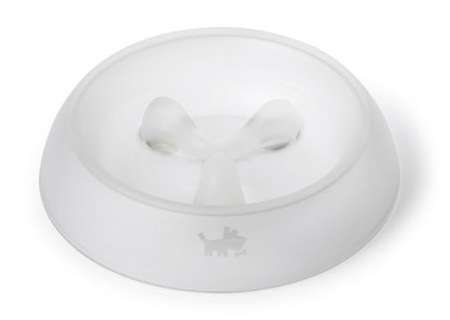 Petite bowl holds 2 cups of food (500 ml). Example breeds: Beagle, Miniature Schnauzers, Jack Russell, Bulldog. 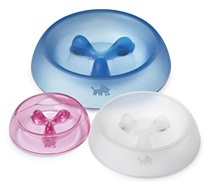 Jumbo bowl holds 6 cups of food (1500 ml). Example breeds: Boxer, Dalmatian, German Shepherd, Mastiff.